Microsoft partnered with ImagiCorps for strategy, design, production and activation at the 2018 Future Farmers of America Convention in Indianapolis, IN. 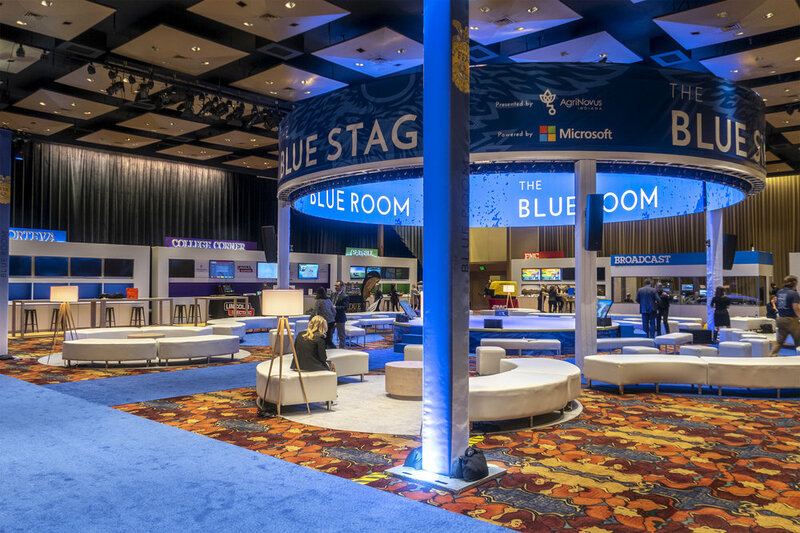 ImagiCorps responded with design and deployment of 12 custom interactive touchscreen kiosks to engage onsite attendees with video content for The Blue Room. This new experience allowed students to gain an understanding of connecting innovation and technologies to agriculture.